The Chapel on Echo Bay wants to thank all those that support the efforts of the non-profit (Fox Island Chapel Preservation Society) by throwing a Garden Party and inviting new folks to join. FREE to members, but this is also a good time to come meet the members and join. A family membership is only $25 and is good for the entire year. Simply join at the door or on-line HERE. Members get discounts all year long on events at the Chapel. Come meet and join the folks that love this sweet 100 year old chapel and want to see it preserved for more generations. Come hear Music by Two Macs- See a sample of this sensational music group below- come to the party- join the Chapel for a mere $25 and remember you can rent the Fox Island Chapel on Echo Bay for your own private party, event or meeting at any time. It is a venue for all occasions. 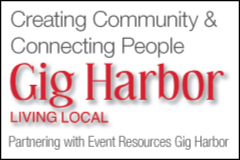 See all the rental details on this link on Event Resources Gig Harbor link: Fox Island Chapel on Echo Bay.